What a difference 9 months makes! 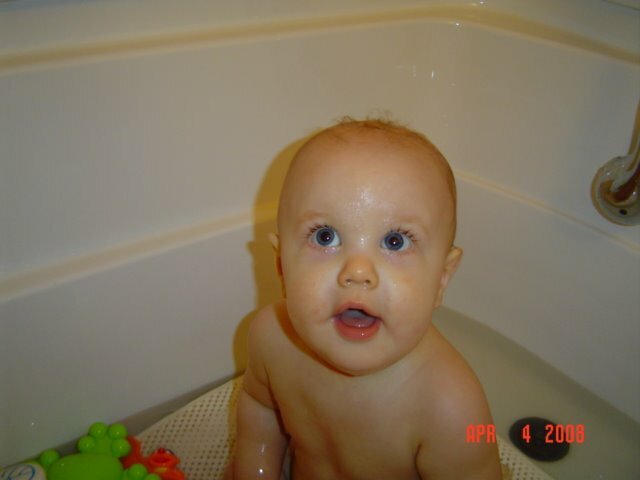 When Gauge was a newborn he screamed so hard when he took his baths. It stressed me out so much. I don't think that I gave him a bath by myself until he was 3 months old. Sad but true. Now he loves his bath.....especially when his sister takes one with him. They splash and giggle so much. What a joy to watch! Today is also the BIG Trike-a-Thon at school. It should be lots of fun. I will post pictures this weekend.